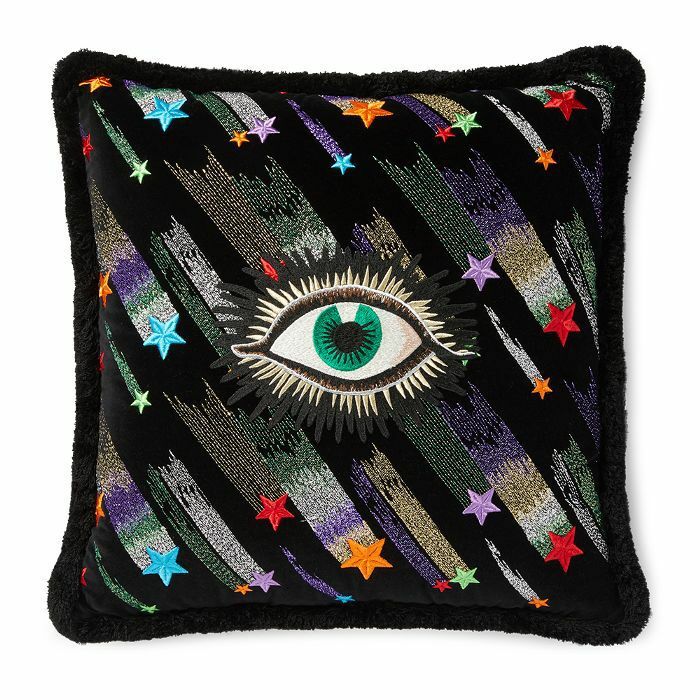 Already huge fans of the luxury brand's apparel and accessories (see: the loafers and slippers that will stay in style forever, and the velvet quilted bag everyone wants), we are thrilled at the prospect of extending Gucci's signature bold and playful aesthetic into our homes. 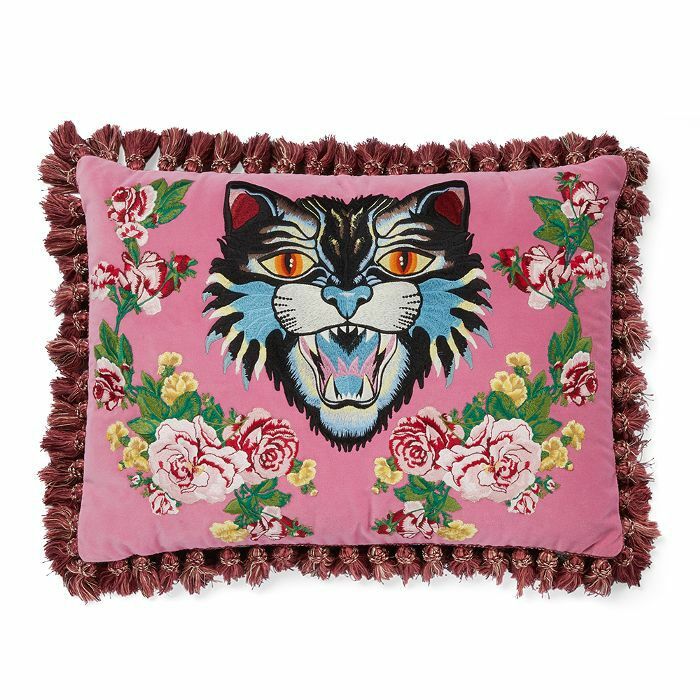 If you’re familiar with creative director Alessandro Michele’s runway shows, you’ll instantly recognise how his creative vision has worked its magic throughout the Décor Collection. 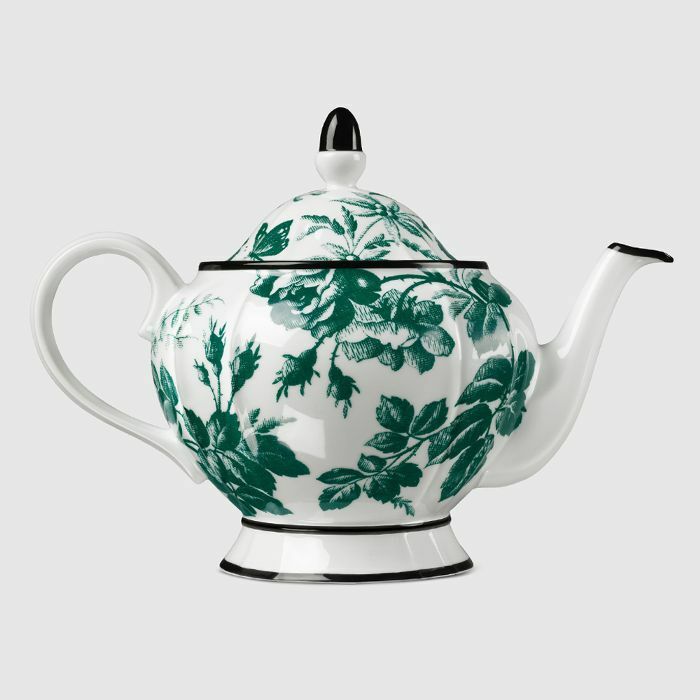 The eclectic range offers up a selection of daring patterns, colours and fun decorative designs that allow you to introduce a hint of Gucci's trademark contemporary romanticism into your living space. 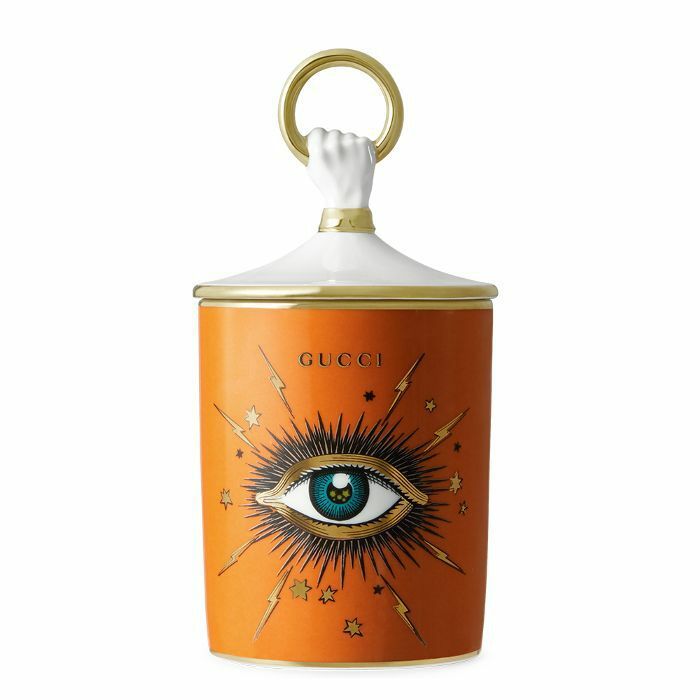 From plush cushions to porcelain pieces (co-created by renowned Florentine ceramics and porcelain manufacturer Richard Ginori, no less), the Gucci Décor Collection is a homewares obsessive's dream. 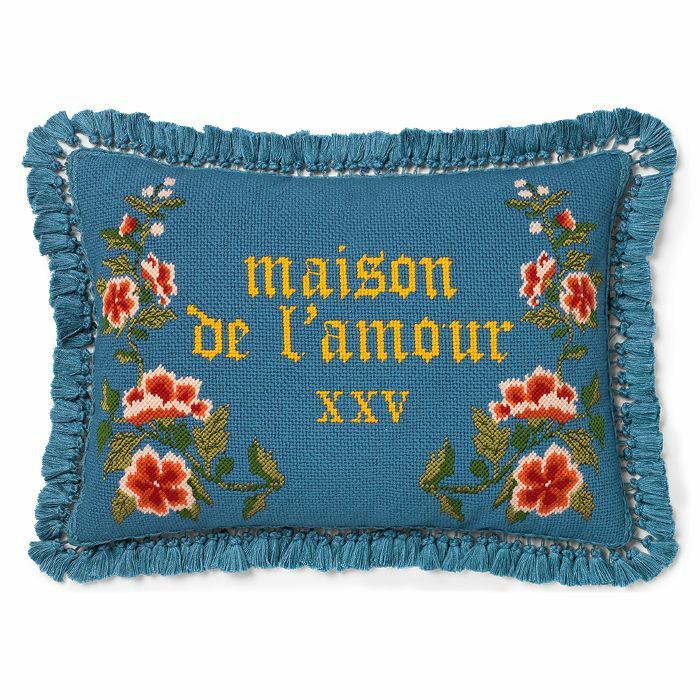 The perfect answer to adding a touch of elegance to your home in a whimsical way, we're already adding to cart. 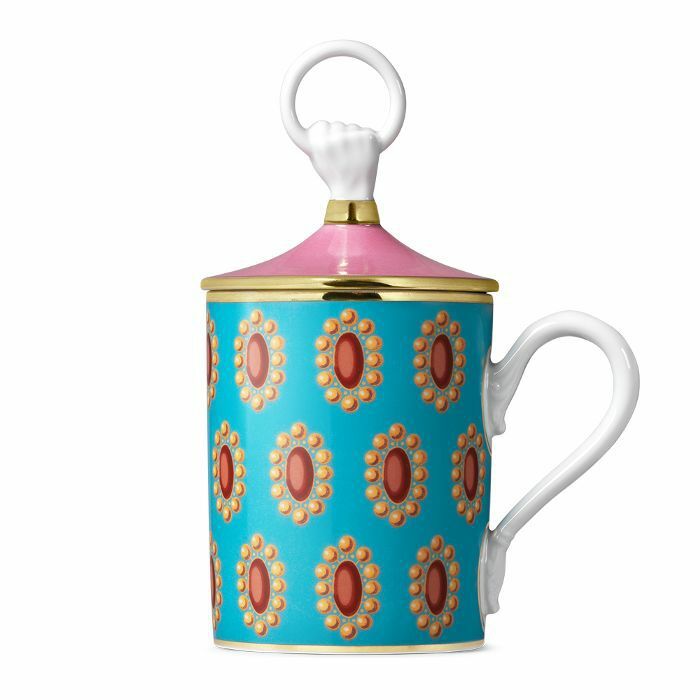 Read on to discover our favourite pieces from the Gucci Décor Collection. Whether you're into tassels, colourful border trims or velvet and wool cross-stitches, there is a cushion here to suit your living space. Even seemingly trivial details have been considered, making these cushions extra-special. For instance, the contrasting back panels are made up in luxe moiré or linen. We're particularly partial to the needlepoint of Michele’s two adorable Boston Terriers Bosco and Orso. 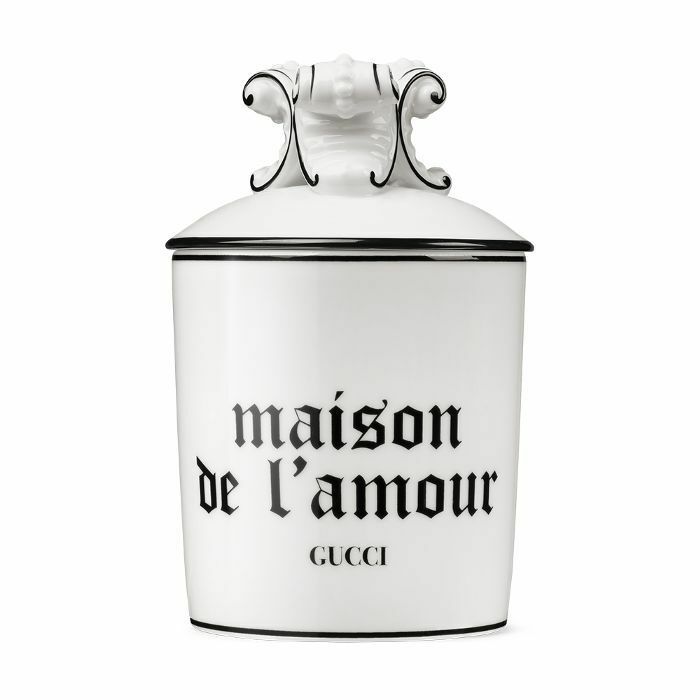 A great entry point into Gucci's Décor Collection, these candles are scented with rich blends that include luxury ingredients like Damask rose and Seville oranges. True to the brand, the aromatic extracts and essential oils used have been expertly combined to produce unique fragrances that are somehow classic and also one-of-a-kind. 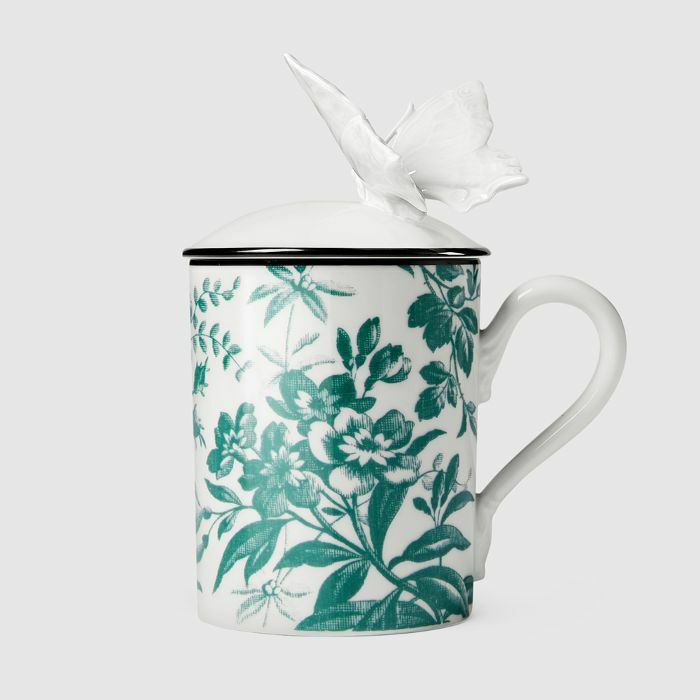 The reusable porcelain vessels are a selling point in and of themselves and reflect signature house patterns including the charming Herbarium floral print and Star Eye designs. 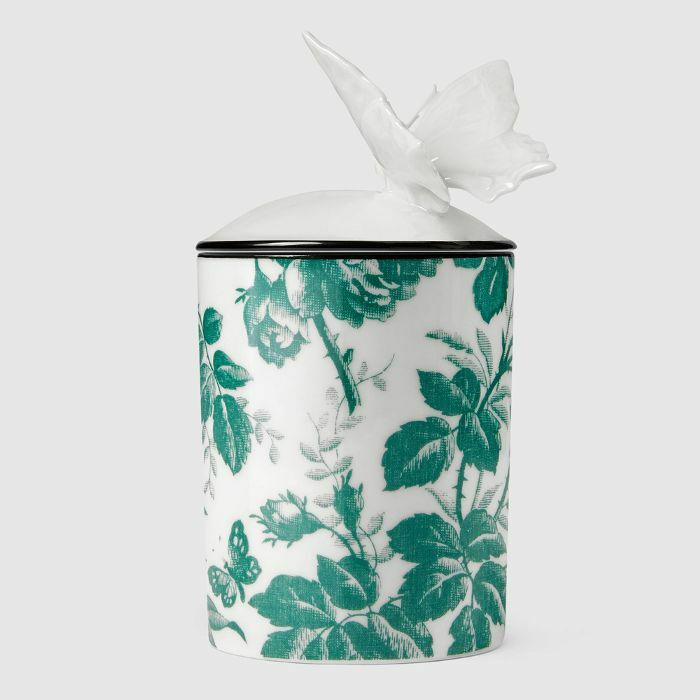 For those keen on embracing the logo itself, we suggest shopping the gothic-lettered, Gucci-printed, butterfly-topped, garden-scented Inventum candle. 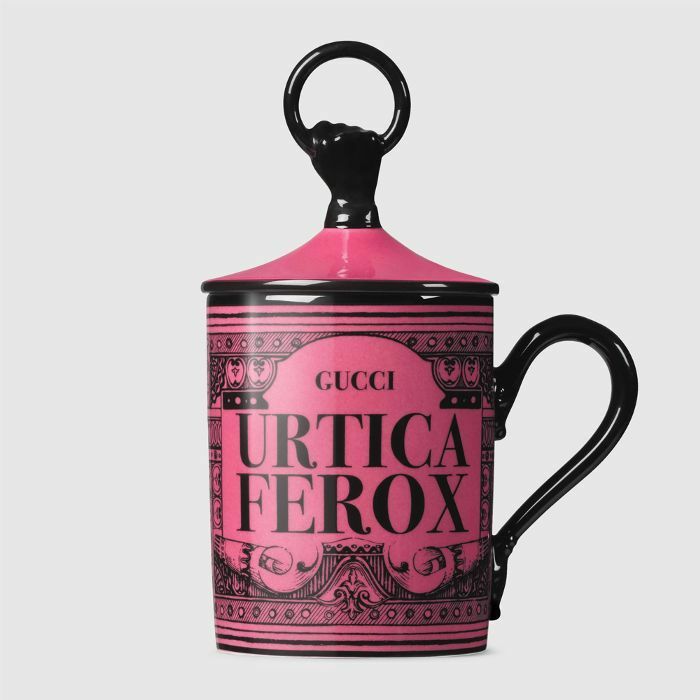 Gucci has also turned its hand towards designing an eye-catching range of patterned crockery. 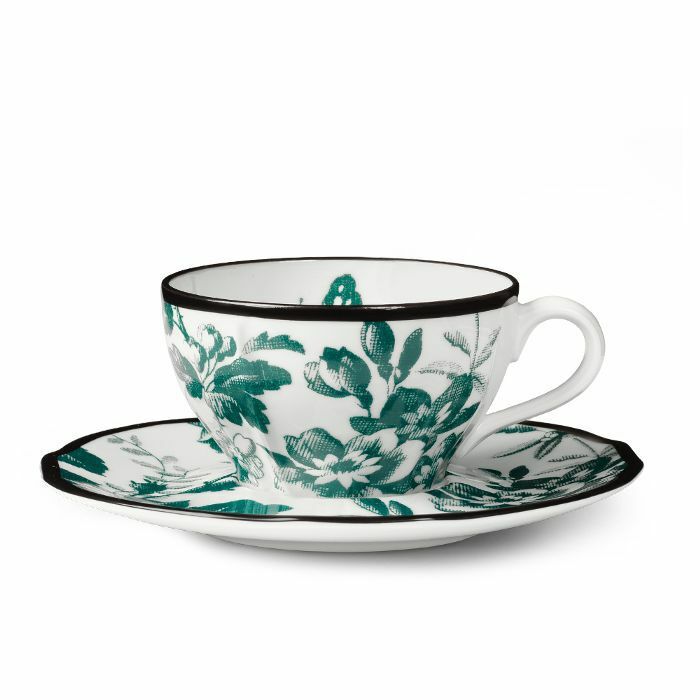 Delicate teacups, teapots and plates of all sizes have been rendered in distinctive designs, including our favourite, vintage fabric-inspired Herbarium. 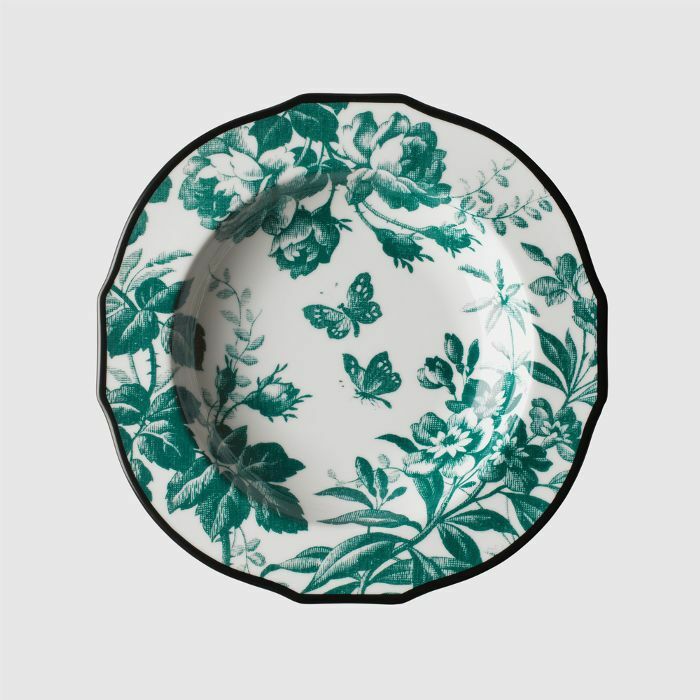 Made up in green and white, and with bold black edging, the Herbarium collection works back perfectly with the white dinner service set just about every adult owns. 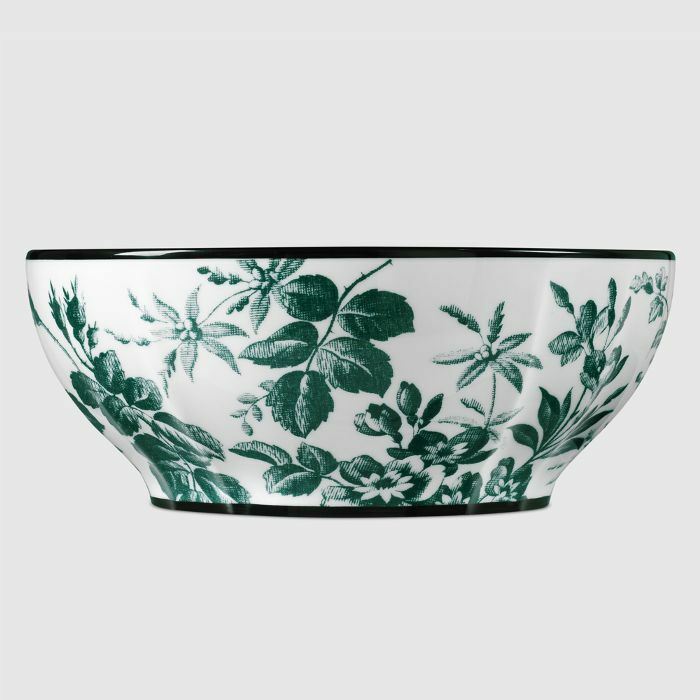 Whether you're after a special platter or salad bowl to add interest to your dinner party tablescapes, or even something to place on ornamental display, you're sure to find a piece (or multiple) to treasure. 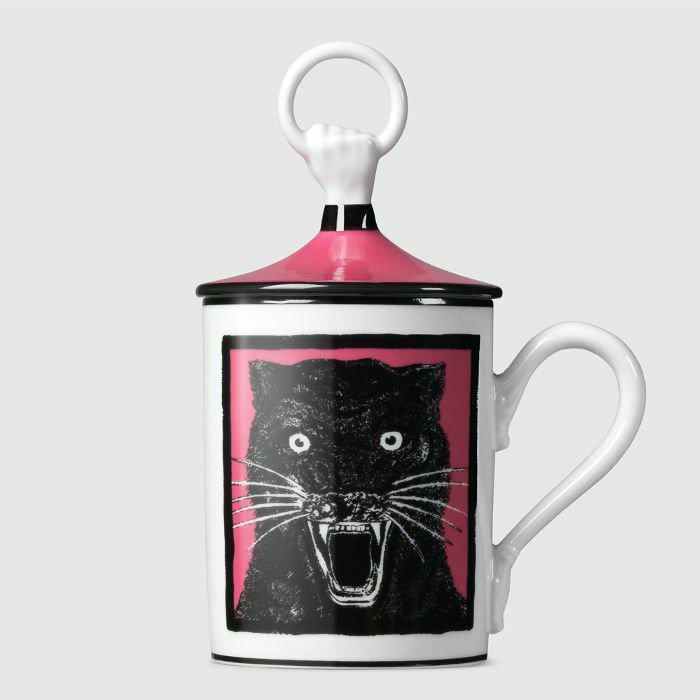 These incredible hand-painted ceramic mugs are just the thing to spruce up your morning cuppa or afternoon tea time. Available in a multitude of prints including the most amazing growling panther motif (a don't-talk-to-me-before-my-latte print if we've ever seen one), a quirky brooch-inspired pattern and a 'Urtica Ferox' graphic that references the invitation to the brand's Cruise 2018 fashion show. Each piece is made all the more special with the addition of a lid that depicts a hand holding a ring—a recurring design seen throughout the collection. A practical feature that stops your drink of choice from cooling off too quickly, it looks pretty cool too. With the festive season on our doorstep, we’re all about finding The One—that perfect gift we’ll cherish forever and the Gucci Décor Collection offers just that. Your dearest will be overjoyed to receive a beautiful wrapped homeware treasure—and we really couldn’t blame you if you wanted to add some of them to your own wish list. 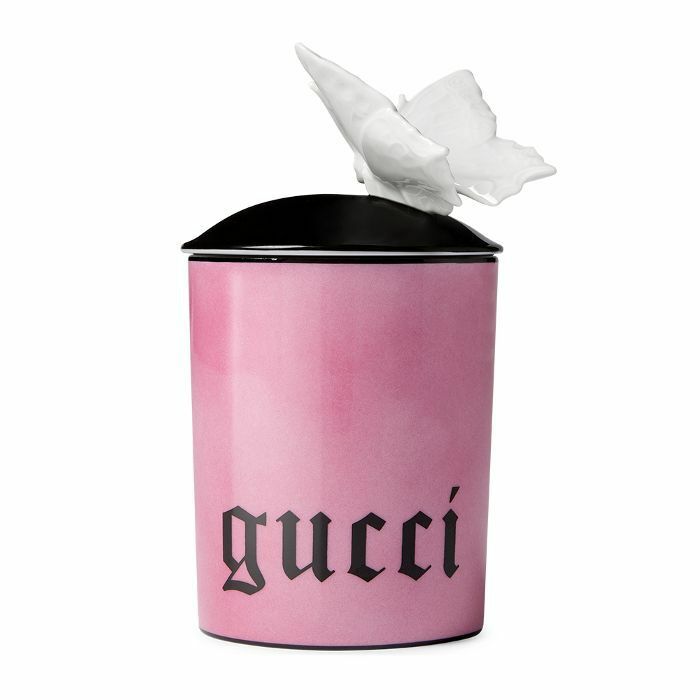 Shop the Gucci Décor Collection now available online.